Greece. Lesvos. Patra. 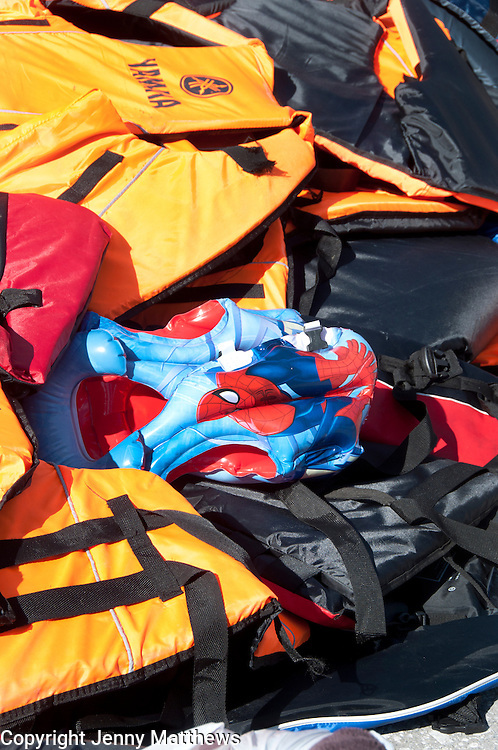 Discarded lifevests, including a child's spiderman one, from newly arrived refugees.